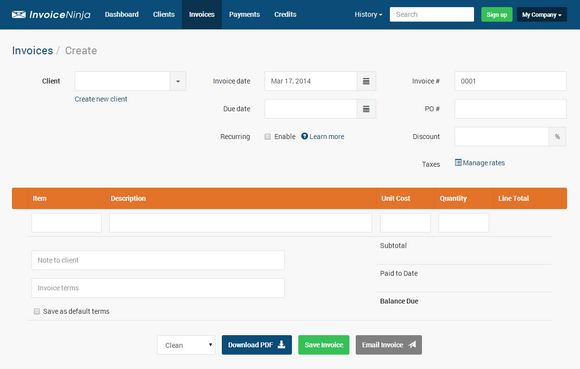 Invoicing with no monthly fee. Free, now and forever! Quality invoicing to build your business and get paid. Create beautiful email-ready. PDF invoices created instantly as you type. The ‘Save & send’ feature saves you time and impresses clients. PayPal? Authorize.Net? Stripe? They support many payment technologies.